And not just because she’s 55 years old, OR a World Champion. 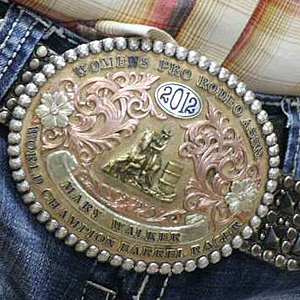 Of course I have a great deal of respect for her as barrel racer, but even more because of the trials she’s overcome. If you watch the top 15 walk across the stage to receive their back numbers, and look close – you’ll see what I saw in Mary. A sense of contentedness in her own skin – sheer presence, joy, humble confidence and sincerity. The glitz and glam in Vegas is mostly superficial. While it’s beneficial for us to get in the habit of noticing such subtleties, you could say that Mary has extra perspective that many of us don’t. While I’m certain Mary would never wish the challenges she’s faced on anyone, we can ALL be inspired by the example she sets, as well as apply the lessons from her journey into our own lives. 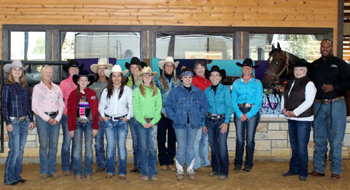 Recently I was also impressed by the eye for detail and expertise expressed through Mary’s instruction at her first barrel racing clinic, as well as by that of her NFR-buddy team of assitants including Christy Davidson (competed at the NFR in 1983), Brenda Barnes (’84 and ’85) and Nikki Steffes (2012). Thanks to the clinic format and an experienced team of professionals, there was never a dull moment where a clinic participant wasn’t soaking up as much knowledge as possible. Of course, having a beautiful facility with great ground didn’t hurt either! 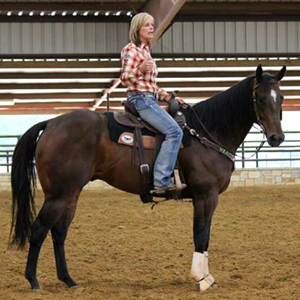 Learning and making changes – for horses AND humans is rarely comfortable or convenient. But because of the professional setup and wonderful staff at Twin Lakes Covered Arena and Training Center, the horse and rider teams had every opportunity to completely immerse themselves in the experience without a single distraction or hiccup. 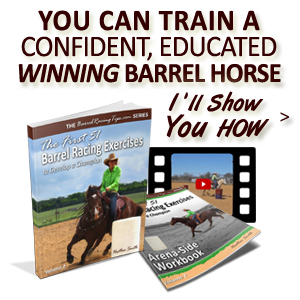 She went on to explain one of the simplest yet most effective exercises for tuneups on the barrel pattern, which is to set up “three barrel straights.” Mary demonstrated the exercise with an interesting twist that included circling one barrel, weaving the center barrel in a counter canter (which requires lateral movement), and then circling the last barrel. It’s an excellent way to encourage shoulder elevation, hind end engagement, AND flexion through the rib cage. Latte maintaining balance and good posture. What especially impressed me as she demonstrated, was that Latte stayed so correct and upright in his body through the exercise. In my experience, big, racey horses have an even greater tendency to lean to the inside and drop in (think motorcycle vs. four-wheeler) – but not Latte! 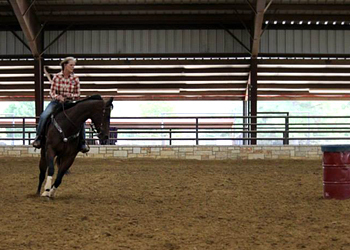 Mary then supported the clinic participants in doing the same exercise starting at a trot or lope. 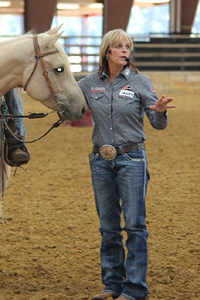 Some of her instruction to the riders included advice in the areas of balance and timing. Perhaps what struck me most of all was just how devastatingly gorgeous Latte was up close and in person! But it wasn’t ’cause he was “born that way.” While he IS the epitome of equine greatness, he didn’t exactly start out as a looker. Mary shared that she first spotted Latte at the jackpots, but his current owner didn’t want to sell. Eventually she struck up a deal to season him for rodeos. Admittedly Mary’s friends didn’t see the potential she first saw. I could picture exactly what Mary described because he IS indeed big, AND “BIG boned.” Without the perfectly chiseled musculature Mary has conditioned Latte to have, he certainly would otherwise have quite an angular appearance. What I found especially interesting was that the two young horses Mary brought to the clinic were equally as good looking. Did I mention success leaves clues? Now pretty is as pretty does, but these horses were more than pretty. I connected some dots between their supreme level of care and attention and their high level performance, and as an added bonus – their stunning appearance. I asked about Latte’s health care and the details surrounding what she does to keep him sound and happy on rodeo road. Latte also receives cold water/aquatred therapy after the NFR. Even when he is “on break” he still gets ponied or worked. While turnout can be great for a horse’s mental and physical health, what I believe she meant was that we have to be very purposeful and intentional about our horse’s care and conditioning. Mary and Latte’s success is clearly no accident! At home she has a plowed one mile track in the pasture and enjoys riding there, although a full-time rodeo schedule doesn’t allow for it often. She does routinely work Latte slow to keep his focus and attention where it needs to be. Although always a gentleman when on his back, the day of the clinic Latte certainly seemed alert and ready for action! There was no question in my mind once I saw this animal, how much care and careful attention went into him, and how that was directly connected to their extensive success in the arena. Between Latte’s positive expression, the way he proudly and correctly carried himself, the muscular roundness of his physique despise his broad structure, the glistening shine of his coat, and of course his performance record – it’s no doubt ALL connected to that “very close eye, and FEEL” Mary has for him. 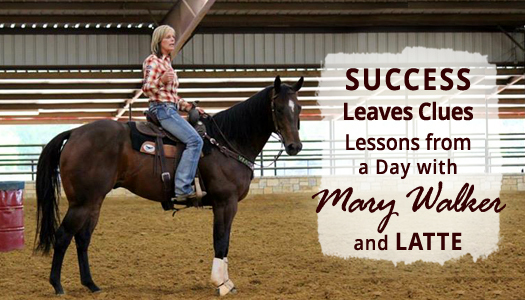 Even as a committed student of horsemanship and competitive barrel racer for many years – you better believe I took detailed notes throughout my day with Mary Walker. I encourage YOU to always look for and notice them as well. There is a special warmth in her subtle southern accent, an authenticity that left me knowing without doubt that she’s every bit deserving of the success she’s already achieved, AND of what’s yet to come. 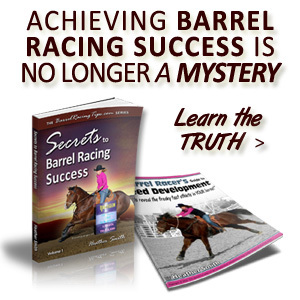 While the inspiration and motivation value was high, Mary and her team also utilized two other effective exercises and offered many more valuable nuggets of barrel racing wisdom too extensive for one little article. For more from Mary Walker, stay in touch with her on Facebook, check out Twin Lakes Covered Arena and Training Center web site, and follow them on Facebook to stay in the loop, and on the lookout for future learning opportunities! 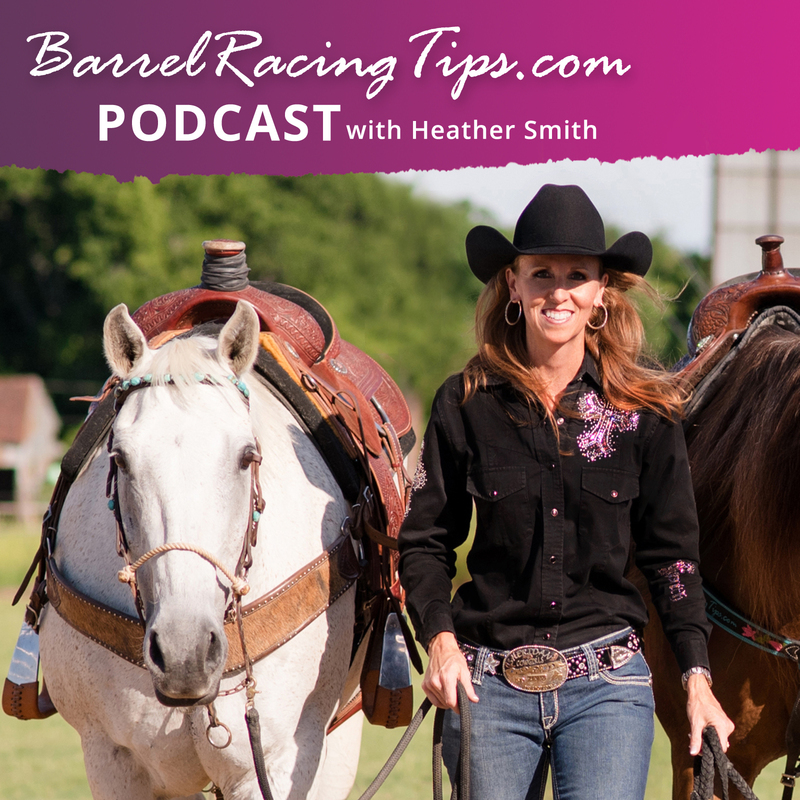 Kind of like “Do the work, but turn over the results,” or “Trust God, but lock your door.” Have some balance and perspective in how you go about life and barrel racing. Be intentional, then let the chips fall where they may, and most importantly – keep at it. I’d love to hear YOUR thoughts on this in the comments below! Twin Lakes Covered Arena and Training Center is a privately owned and constructed equestrian event complex centrally located in beautiful East Texas. The facility is located on the grounds of the scenic Twin Lakes Ranch. 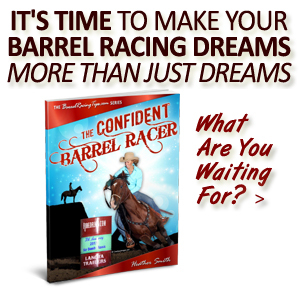 Their goal is to be the premier breeder of performance bred horses in the barrel racing industry, and to create a barrel racing educational & training facility that is sorely lacking in our sport. Currently the facility boasts an arena that measures 156 ft x 300 ft, wall to wall. The arena is covered and has roll away shade cloth walls to block the outside elements. The arena space is cooled by four Big “A” Fans strategically placed in the arena area, with smaller fans throughout the saddling and covered spectator areas. The facility features hot and cold wash racks, a secure round pen, and an outdoor dished sand warm up area. 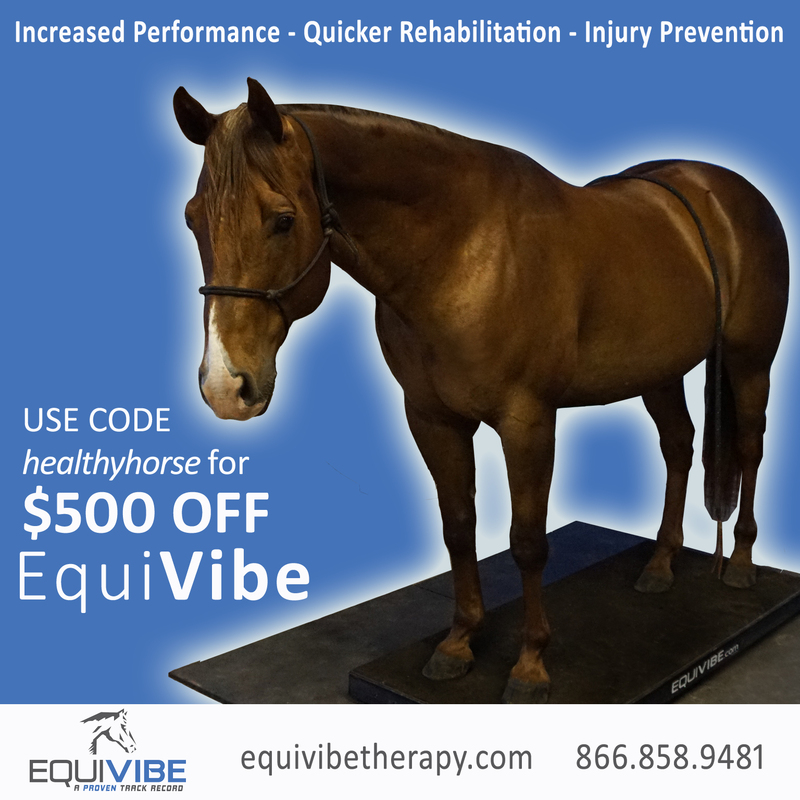 They currently offer full and partial care board, as well as a HydroHorse Fitness and Rehabilitation Program to the pubic. To speak to someone regarding boarding, the fitness program, upcoming events or arena rental, please call Jason at 918-232-2856! How can I get that drill that Mary W showed people at the clinic with the barrels in a strait line? THANKS I enjoy reading your articles. Thanks for asking Susan! 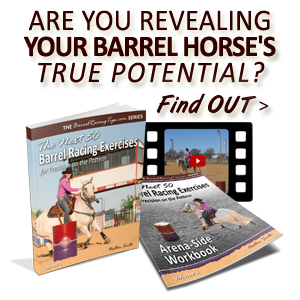 Basically you circle an end barrel then weave around the center barrel to lope the third barrel in the same direction as the first – all in the same lead if loping. It’d be best to start out at a trot. Hi! Mary and Latte really have been such huge inspirations for me and my mare! My mare was not exactly a “looker” when I first bought her. She was three years old, short, and not very stout. I’ve learned with her that a slow start and lots of work really do help. Since I’ve started running her, she gets compliments all the time about her short size and speedy runs. Gosh Heather!! What a blessing to meet both Mary and Latte!!!! How tall was Latte? I always like to hear success of tall horses. Both my boys are 16+,hands! Thank you so much for writing this! And tia for answering my question! I didn’t ask exactly how tall he was Samantha, but if I had to guess I’d say at least 16.1! Maybe even a little taller! I would love to meet Mary Walker and have her come out to Yakima Valley, Yakima, Wa. And put on a barrel racing clinic for our Native kids.